Mod Support. Uses the Steam Workshop. Steam Workshop, official repository for game mods and custom assets and maps. OS X and Linux version can be downloaded. Deluxe Edition included with Origin Access Premier. Set your Display Mode to Windowed. Set your Display Mode to Fullscreen. FXAA only. Alternatively use the Dynamic Resolution mod for on the fly downsampling. 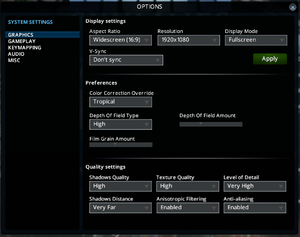 If the graphics look blurry when zoomed-in, turn down the tilt shift amount in settings. Launch the game with the -force-d3d9 parameter. By default, the game won't support true fullscreen, and only borderless fullscreen is available. To use true fullscreen, the game must be run in DirectX 9 mode. 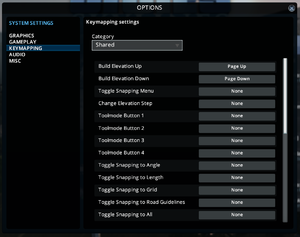 If you have DSR enabled via your Nvidia Control Panel then your additional resolutions will appear in the game's graphics options menu. However, if you attempt to use one of these resolutions then the game will default back to your monitor's native resolution when you hit apply. This can be fixed by launching the game with -force-d3d9 parameter. A controller can be used to control the camera using in-game developer tools. You can also play with the Steam controller. Tested with two different devices, 7.1 headphones and 5.1 speakers. 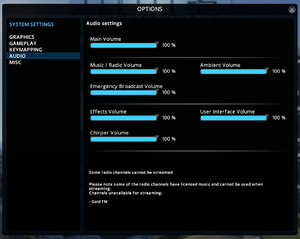 Only main two stereo channels are audible. 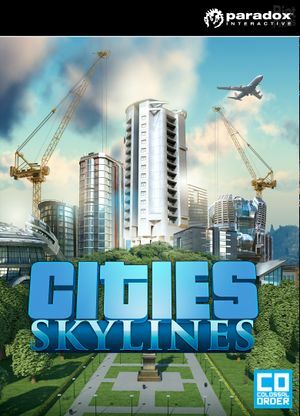 Occurs when Cities: Skylines defaults to Intel integrated graphics instead of Nvidia discrete graphics. Select the Program Settings tab. Select High Performance Nvidia as the preferred graphics processor. Click Apply and launch the game. 9, 11 Option to fallback to version 9 using a command-line parameter. Intel Integrated Graphics Cards aren't supported. This page was last edited on 14 April 2019, at 19:46.